Looking to move right in and add your own personal touches? This 4 bed/2 bath (one on the first flr) cape is the home you've been looking for. Gorgeous new kitchen w/ ss appliances, modern cabinets, solid surface counters w/ a subway tiled backsplash, and sleek new flrs. Refinished hardwood flrs throughout liv room and into the large dining room. Both FULL baths have been updated nicely. Sliding door off of kitchen steps down to patio area with spacious backyard full of possibilities. 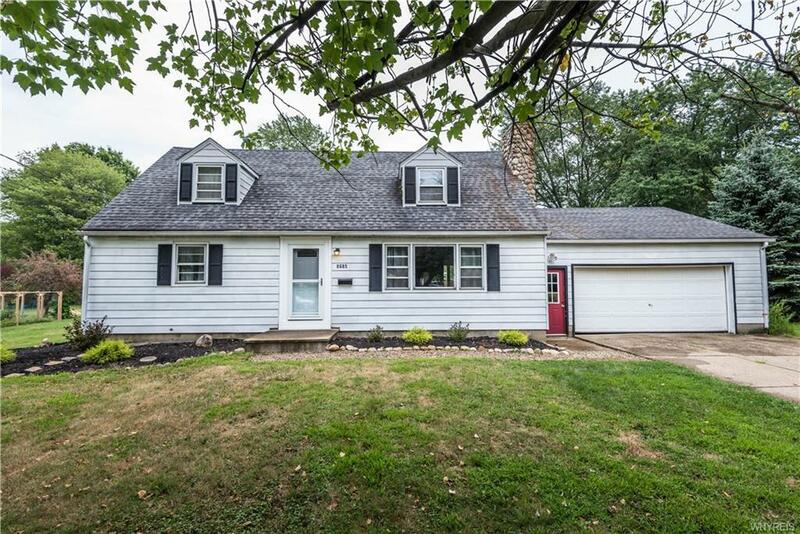 Updates include all new carpets upstairs, new insulated entry door w/ new storm door, freshly painted rooms throughout the house, custom storage/organization system. Dry full basement w/ extra finished rooms for storage or entertainment use. Great location that allows for a short walk to all local shops & restaurants.